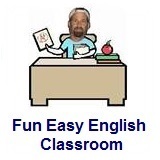 ﻿ Fun Easy English - new classroom free online classes english language lessons speaking listening writing reading february 15. Today in the Fun Easy English classroom you are going to learn about abortion in America. Hi. In the classroom today you will learn a little about abortion. An abortion is the termination of a pregnancy by the removal or expulsion of an embryo or fetus from the uterus. An abortion can occur spontaneously due to complications during pregnancy or can be induced. Abortion as a term most commonly refers to the induced abortion of a human pregnancy, while spontaneous abortions are usually termed miscarriages. Abortion has a long history and has been induced by various methods. The legality, prevalence, and cultural views on abortion vary substantially around the world. In many parts of the world there is a divisive public debate over the ethical and legal aspects of abortion between the pro-life and pro-choice movements. This is a very controversial topic in America. Many states in American vote on whether or not abortion should be legal. 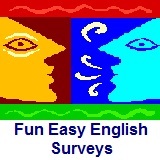 Please take the survey below and post a comment with your opinion at the bottom of this page. Survey: Do you think abortion should be legal? Abortion is a very controversial topic in America. 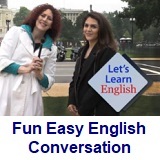 Conversation Lesson 46 - May I Borrow That?